Another fine week for the club. Off the court, we managed to find alternative venues for all of our underage training and match hours that we lost with the storm damage to Douglas Community school. A massive undertaking for the club and couldn’t have been achieved without the huge work done by Shirley Fitzgerald and Valerie Healy, and the cooperation of all the coaches involved. Thank you all. On the court, some highlights this week included championship wins for our under 12’s and under 18’s girls teams, and a fine away league win for our under 18 boys team in Waterford. It was also great to see so many of our underage players working hard on their games at the County Board development sessions in Parochial Hall on Saturday. 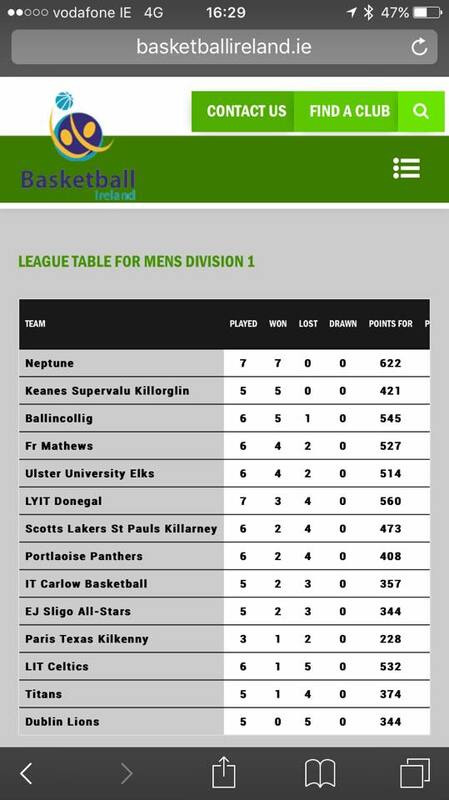 Our men’s National League team wrapped up the weekend nicely with a fantastic away “local derby” win today against table toppers Ballincollig, and continue their climb up the table. Thanks to the great crowd of Mathews supporters who came along to cheer on the team. A busy week next week for the club with our “Anything is Possible” Halloween camp.